From Pre-school to Junior Olympic, Gymnastics Plus offers a wide range of gymnastics instruction to meet the needs of all levels and interest. 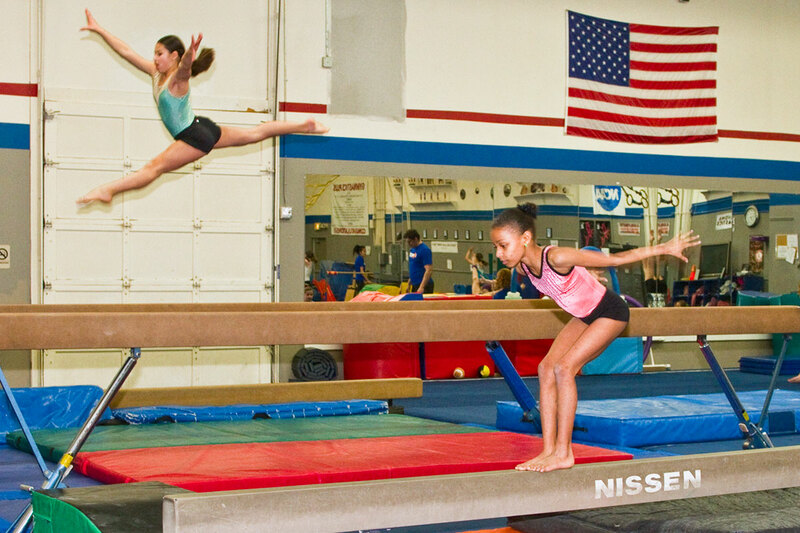 Whether you are looking for a fun-filled birthday party, Parent’s Night Out, or a summer camp to keep you active; Gymnastics Plus has all sorts of special events to stay active. Stay up-to-date on all the upcoming activities and events featured at Gymnastics Plus! In 1997 Gymnastics Plus was opened with one mission in mind – to build strong minds and healthy bodies in children of all ages and abilities through the application and instruction of gymnastics. For many, it is more then a gym or a business – it is a family. In fact, many of the staff members have been involved with the gym since the beginning; and we are proud to have second-generation gymnasts training in our facility. Our staff is knowledgeable, experienced, and well-trained while also having a love for gymnastics and working with youth. No matter what the age of gymnastics level, our goal is to help you each step of the way in your gymnastics journey. Gymnastics Plus is proud to offer a wide variety of gymnastics training to meet the variety of family needs. These include preschool classes, recreational gymnastics classes, and competitive team. Additionally we offer special events such as Parent’s Night Out, Birthday Parties, Skills Clinics and Summer Camps.